Double Solitaire: The is a variation of the popular game Solitaire. It has many of the same rules as its independent counterpart, although it has a competitive twist: you can actually increase your opponent’s pile while making your pile smaller. 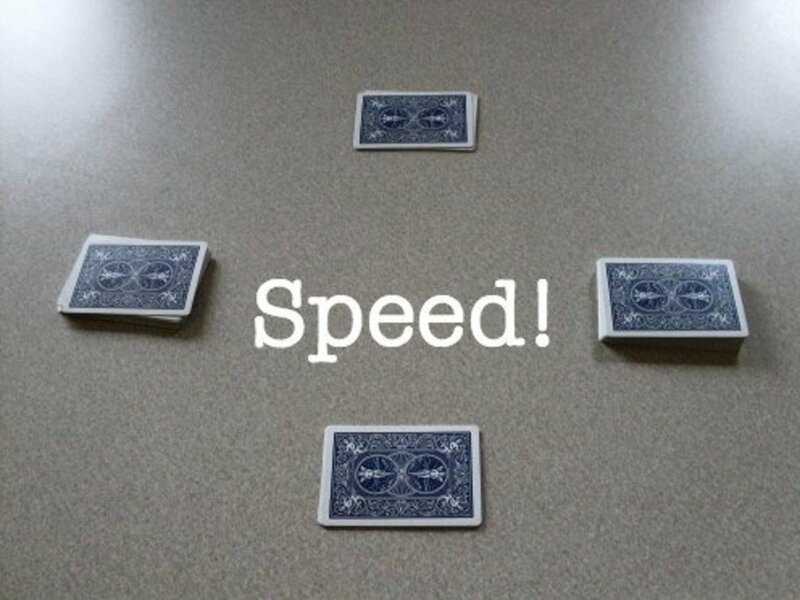 Speed: The second game, also intended for two players, tests your speed and your opponent’s. It is a very quick game and fittingly named Speed. War: The third is a game that sometimes feels endless. Some people refer to it as War, while others call it Battle. Either way, it is played the same. The opponents war over the cards, hoping to win them all. 66: This game is a well-known German card game that requires just enough math and strategy to stay interesting while still leaving the brain space to chat. 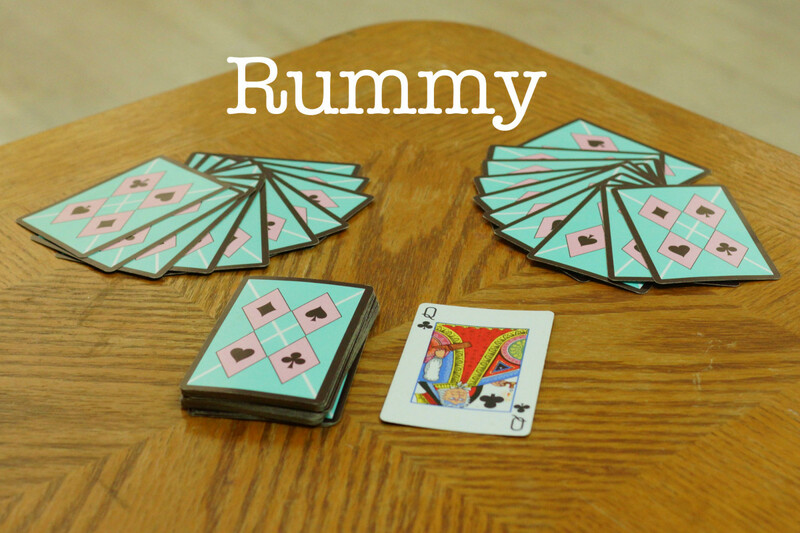 Rummy: Rummy is a well-known and fun family game that can easily be played with only two people. Gin: Gin is a classic derivative of Rummy. 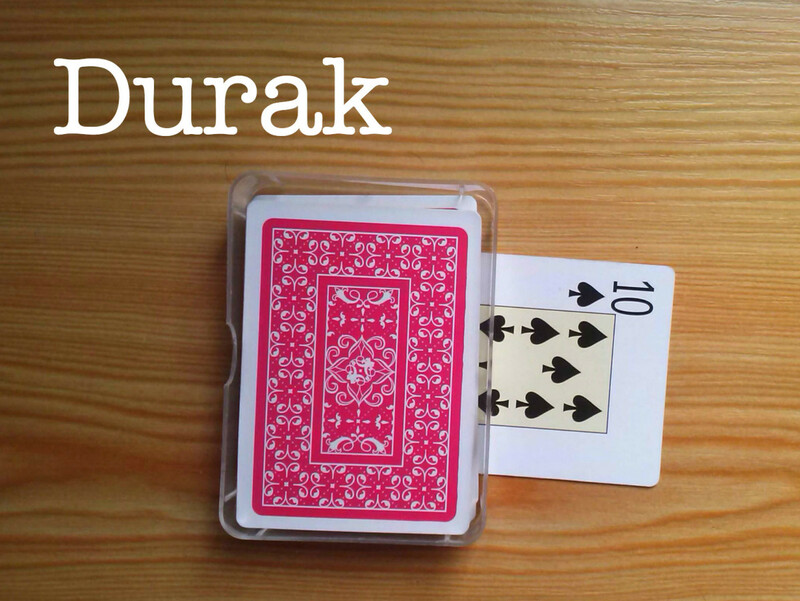 Durak: The most popular card game in Russia, Durak is challenging and engaging for two people or larger groups. How to Set Up Double Solitaire: Shuffle the cards thoroughly. Some players believe that in order to do this well, you must shuffle seven times because it makes the cards completely random. Once shuffled, place four cards in the center of the play area face-up, each card separate from the others. Then deal out the remainder of the cards one-by-one until all cards are doled out. The dealer should let their opponent choose which stack they would like. The dealer keeps the remainder. Object of Game: The object of Double Solitaire is to be the first person to run out of cards. You do this by placing cards on top of one another in a consecutive order. The four center cards can only go down alternating in color; for instance: black king, red queen, black jack, red ten. You may pile another stack on top of an earlier one as long as it does not deviate from the alternating color pattern. For instance, if one pile begins with a black king and ends with a red queen, then a pile that begins with a black jack can be placed on top of the red queen. The center cards are not the only cards you can add to. Along one side of the play area, players begin four stacks, each beginning with an ace of a different suit. The stacks go up sequentially: ace, 2, 3, 4, etc. Unlike the center stacks, each stack must be all of one suit; for example: ace of diamonds, 2 of diamonds, 3 of diamonds. Any card that can be played on the side stacks must be played. For example, if you see an ace of diamonds, it must be placed on the side. As with most card games, whoever deals allows the other person to go first. Here is a step-by-step tutorial of the game, starting with player 1. Begin by looking to see if any of the four cards in the center can be played, whether as an ace that needs to start one of the side stacks or a red jack that can be set on a black queen, etc. If one of the center cards is used and it leaves an empty space that space is free to be filled by any card of the player's choosing. Once there are no plays on the board, the player picks a card from their deck. This card can be either stacked on one of the side stacks by suit or on top of a card in the center area, assuming it follows the order of descending rank and alternating suit. If there are not four stacks in the center, then the card may hold the empty position. If the first player manages to play the card they picked up, they can continue picking up cards, one at a time, until there are no more plays. Once there are no more plays, the remaining card must be placed in a discard pile face-up next to the player's pile of playing cards. The second player follows the same steps except they now have a new pile to stack cards on. In addition to playing cards on either the center area or the side suit cards, the second player can stack any card going up or down in a red/black alternating pattern on top of their opponent's discard pile. For instance, if a black four is on top of the opponent's discard pile and the second player draws a red three or a red five, they can place that card on their opponent's pile. Also, if one of the center piles has a black four on top, then that can be placed on the red three. If there are other visible cards underneath the black four, then you can proceed to turn over the top card until no more cards can be played. Only one card can be placed at a time. This must be the top card. There is no limit to how many cards can be stacked on the opponent's discard pile. Players may also take from their own discard piles if possible. Once they hold a card without a play, the second player also begins a discard pile. The players alternate until someone runs out of cards. Once all playing cards are used from the draw pile, then the discard pile gets turned over without shuffling and becomes the new draw pile. The person who runs out of cards first wins the game! How to Set Up Speed: Shuffle cards thoroughly. Place two stacks of four cards face-down in the center, far enough apart that it will allow for two discard piles and flailing hands. Then dispense the rest of the cards one-by-one between the two players. Object of Speed: To be the fastest person, getting rid of your pile first. Both players draw four cards from their personal draw piles. Throughout the game, they may have up to four cards in their hand at any given time, but no more than four. 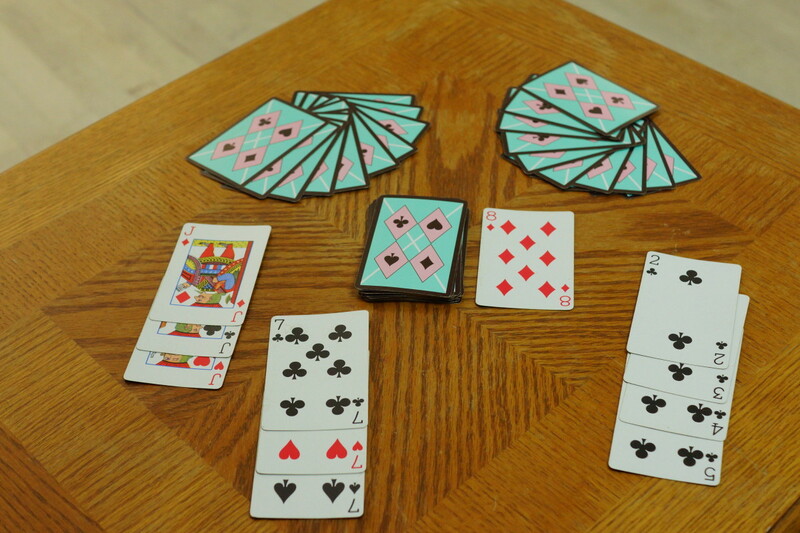 Once both players are ready, they each place their right hand on the right stack of cards in the center. When the dealer says, "Go," they flip the top card over face-up onto a discard pile in the center, forming two discard piles. Both players. as quickly as they can, discard the cards in their hand onto either discard pile going numerically up or down. Suit and color do not matter. They may grab additional cards from their stack at any time as long as they do not exceed four cards. The game proceeds until there are no more plays or a player runs out of cards. 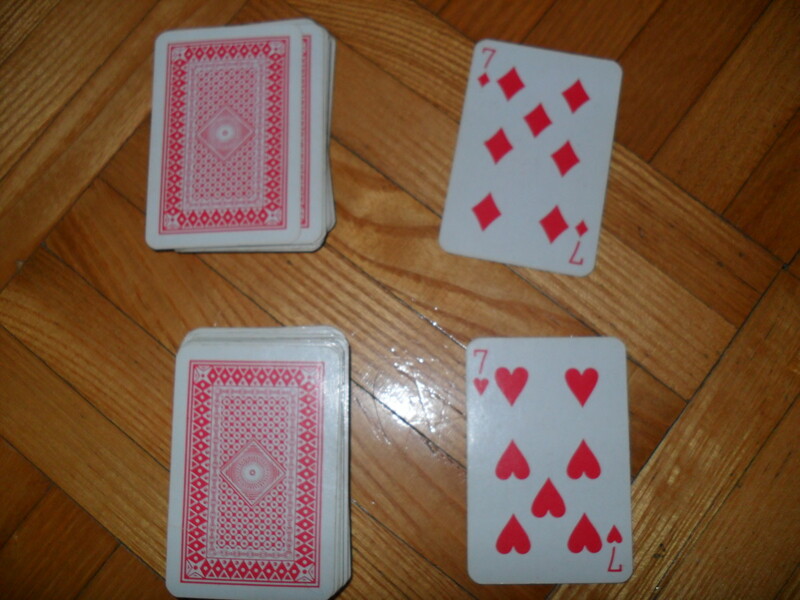 If there are no more plays and both players have four cards in their hand, then they each place their right hand on the right deck. The dealer says, "Go," and each player flips the top card over onto the discard pile. Play continues like this until a player runs out of cards, in which case the first one out is the winner! Side Note: Aces can go on either a two or a King, and vice versa. Color and suit do not matter. If two players place the same card down, whoever's hand is on the bottom leaves their card, the other opponent must keep the card in their hand. Be careful, injuries have occurred. Your playing area. The deck is divided equally between both players. How to Set Up: Shuffle the cards very well. Then the dealer evenly distributes the cards into two piles. They offer their opponent a choice between decks. Whatever pile is left, is the dealer's draw pile. 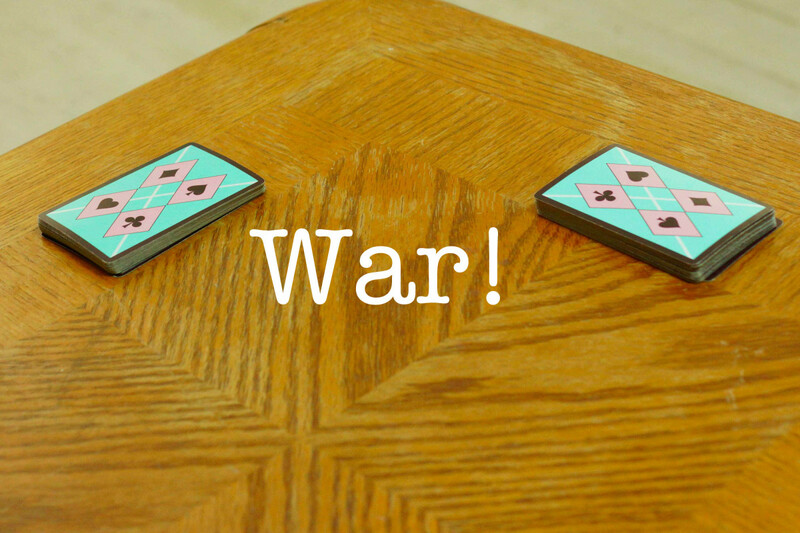 Object of War: To be the first person to have won all the cards! This may take a while, be prepared to last a long time. Don't forget to shout "War!" In this case, the player with the 9 wins all the cards in the pile. Each player should place the top card of their deck face up in the center. Whoever placed the larger card may take both cards and add them to the bottom of their pile. Aces are high. In the rare case that both players set down the same number, then a war begins. The players shout, "War!" and should then place two cards face-down on top of the first card, and then a third card face-up. The cards that are face-up are the ones that matter. Whoever's card has a higher value earns all the cards in the center. If those cards match, then the war continues with another set of two face-down and one face-up card. The game continues until one player has won all the cards! The player with all the cards wins the game! This is the setup to 66 with a possible trick in front. In this example trick, the Jack would beat the 9 of hearts because it is a trump card. 66 is a German card game that combines just enough strategy and math to keep you occupied without being so difficult that you can't chat. How to Set Up 66: This game uses a partial deck with numbers 9 and up including ace, so first remove cards 2-8 in all suits from the pack. Then deal 6 cards to each player. Take one card from the remaining stack (called the talon) and place it face up on the table. This determines the trump suit. Place the rest of the talon face down perpendicular to the trump. Object of the Game: To be the first player to gather 66 points. One round of this game is actually very short. It's usually played in multiple rounds, in which case the goal is to win the most number of rounds. There are two phases to this game. Phase 1 lasts for six turns until the talon is exhausted. Phase 2 begins immediately after the talon is exhausted. You can only play marriages in Phase 1. Phase 2 is where the game gets real. 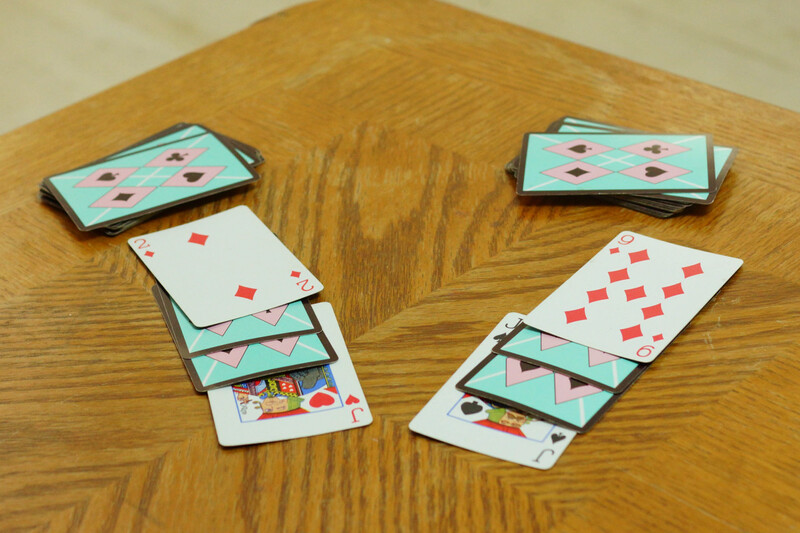 The non-dealer (player 1) starts the game by playing any card from his or her hand. The dealer (player 2) must respond with a card. A card of the same suit and higher number or of a trump suit wins. In this phase, you do not have to follow suit or try to win the trick. You may choose to lose a trick in order to get rid of unwanted cards. 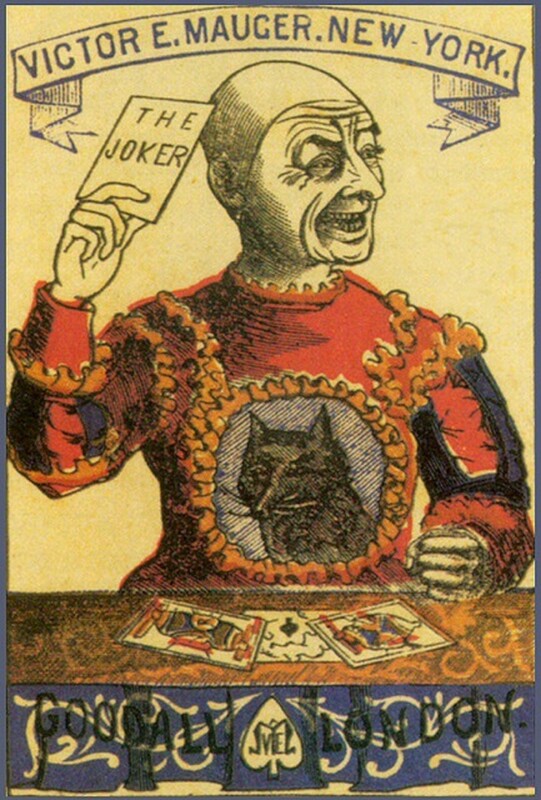 The player who wins the trick takes both cards and puts them face down in front of him. After each trick, each player takes a card from the talon (the winner first). As you play, make sure to keep track of which cards you have won. Count your points (the cards you have won in each trick) according to the chart above. Remember, once the next trick has started you may not look at the cards you have won from previous tricks. 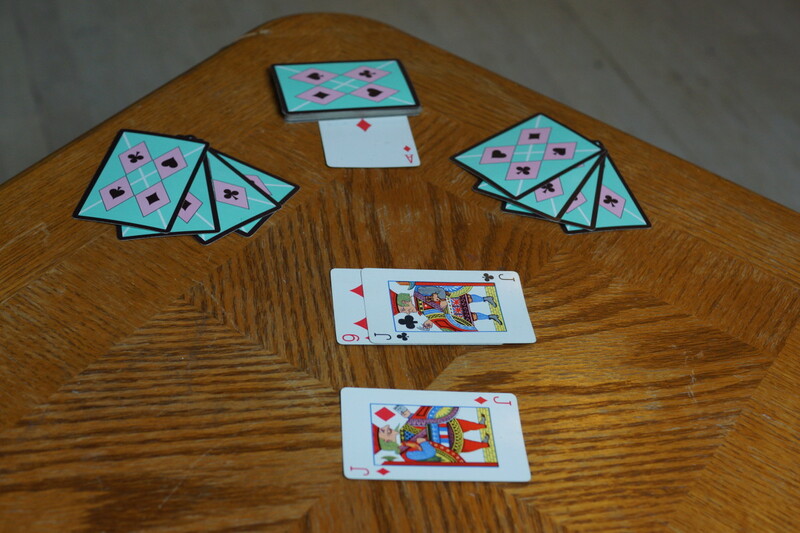 Marriages: If the player starting a trick has both the King and Queen of a given suit, she may play a marriage by showing both cards and then using one of them to start the trick. A marriage can be played at any time during Phase 1, but cannot be played after the talon is finished. Player 2 in each trick must attempt to win the trick. If they cannot but they do have a lower card of the same suit in hand, they must play that lower card. Usually, Phase 2 is not played all the way to the end because somebody goes out with 66 points first. If it does go all the way to the final trick, the final cards are valued at 10 extra points. If, in either phase, a player believes they have 66 points in the cards they have won so far, they can say "out" and win the round. They can do this immediately after winning a trick or declaring a marriage. If a player misses a chance to declare because the next trick has started, they must wait until they win another trick. If a player goes out but is mistaken and has fewer than 66 points, they lose the equivalent of two rounds of the game. If a player goes out and has 66 or more points, they win the round even if the other player has more points but has miscounted or forgotten to go out. How to Set Up: Shuffle the cards thoroughly and deal ten cards to each player. Then put the remainder of the cards face down in a stack in the middle. Take one card off the top and place it face up next to the stack. This will be the start of the discard pile. 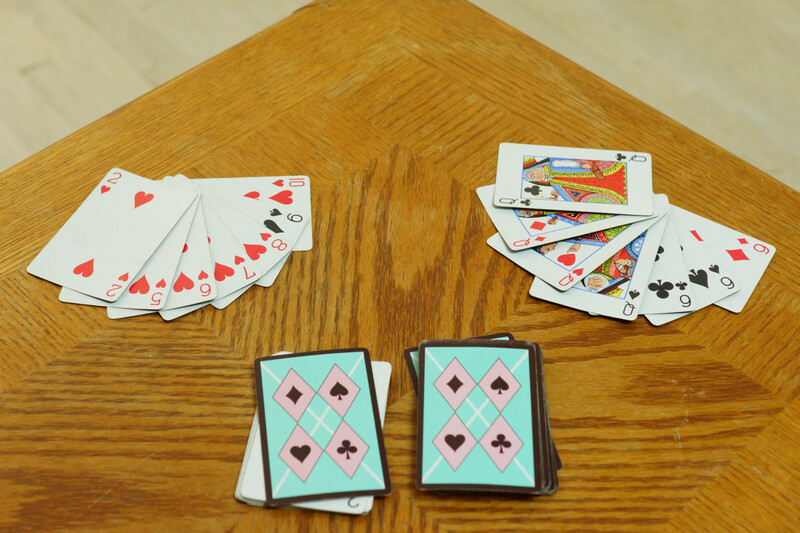 Object of Rummy: The goal is to place all your cards into sets and runs (triples or straight flushes, basically). Player 1 (the non-dealer, as usual) chooses to take the face-up card or a card from the top of the stack. Because this is the first turn, if Player 1 decides not to take the face-up card they must offer it to Player 2, who can take the first turn instead. If Player 1 has three or more cards in a set or run they can place these face-up in front of them. This is called a meld. To finish the turn, Player 1 then discards one card face-up on top of the other face-up card. Player 2's turn follows in the same way. Each turn, the player draws one card, places a meld if possible, and discards one card. Once a meld is placed on the table, any player who has already placed a meld of their own can add a card to it. This is a useful way to get rid of cards. If you can place all of your cards into melds, you win the game. It is also possible to tap out and win the game if you have ten points or fewer remaining in your hand. How to Set Up: In this version of Gin, you play with seven cards, although there are also versions that use a ten-card hand. To set up, shuffle the cards thoroughly and deal each player seven cards. Then place the remaining cards in a stack in the middle (the talon). Take one card from the top of the stack and put it face-up next to the talon. 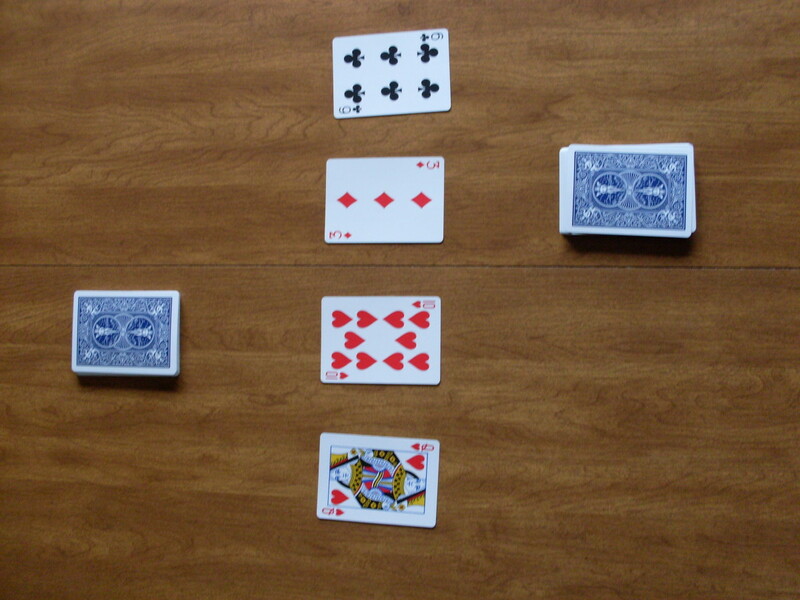 Object of Gin: To win the game, a player must have one of two possible winning hands. A straight flush. That means seven consecutive numbers in the same suit. (Ex. a 2, 3, 4, 5, 6, 7, 8, and 9 of hearts). Ace can be high or low, but cannot be both at once (for example, you can't have a hand that would go 10, J, Q, K, Ace, 2, 3). The cards on the right make up a winning hand of Gin. 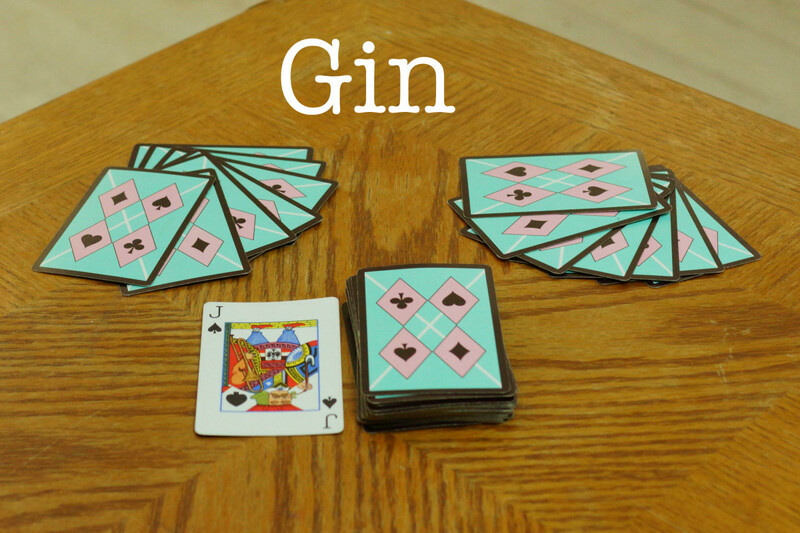 Gameplay for Gin is quite similar to gameplay for Rummy. Player 1 begins by drawing a card, either the face-up card from the discard pile or the card on the top of the talon. Player 1 then chooses to discard a card from their hand onto the discard pile. 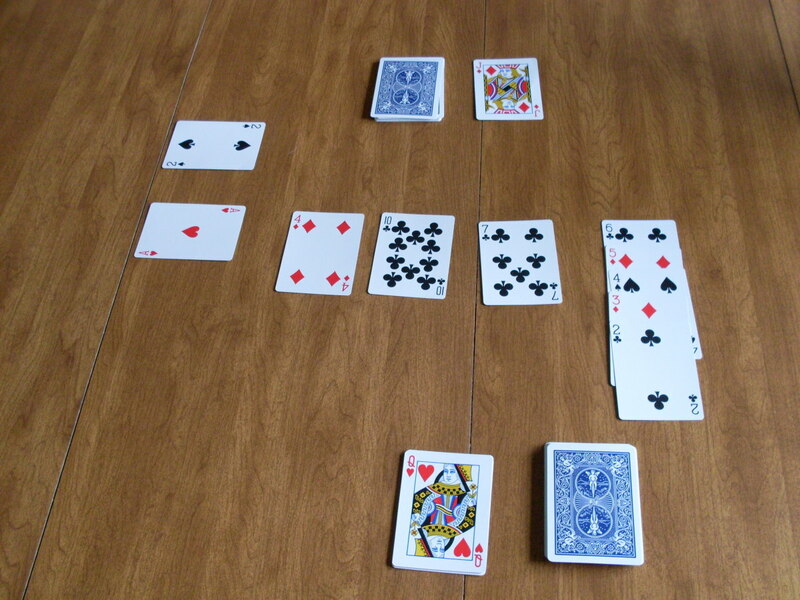 The game continues in this manner, each player drawing and discarding in turn, until one player has a winning hand. When a player has achieved a winning hand, they can shout "Gin!" and put their final card face-down on the discard pile. Then both players put their cards on the table face-up and display their hands. Durak is the most popular card game in Russia. It can be played with anywhere between two and six people. Here, I’ll just give you the instructions for the two-player version. 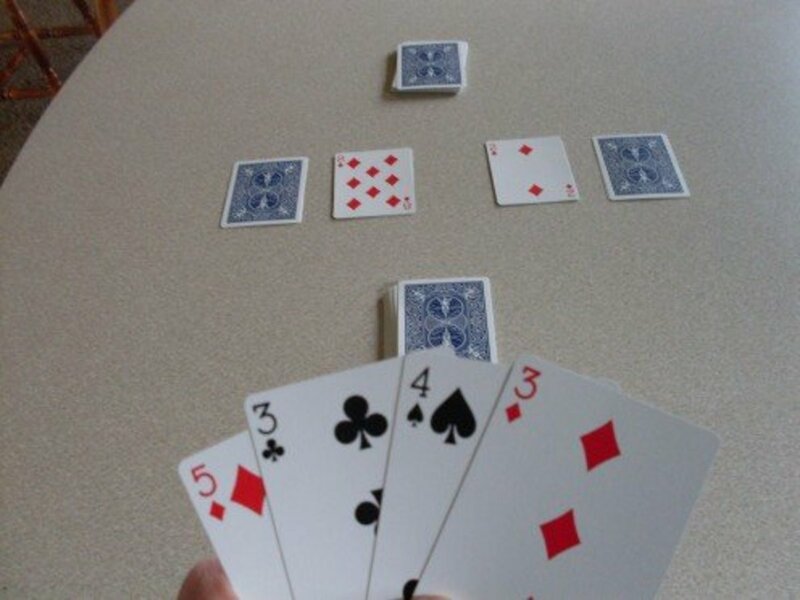 How to Set Up Durak: Durak is played with a deck of 6 and up, so first take out cards 2-5 from the deck. Shuffle the remaining deck and deal each player six cards. Place the rest of the cards face-down in a stack (this will be the talon) and place a card from the top face-up underneath the talon at a 90-degree angle. This determines the trump suit. Goal of Durak: The goal is to get rid of all your cards first by winning "attacks" against the other player. This involves using strategy and collecting powerful trump cards for the final battles, as well as winning as many attacks as possible. The player with the lowest trump card goes first. For example, if the trump suit is spades, the player with the 6 of spades goes first. If neither player has the 6 of spades, then whoever has the 7 of spades goes first, and so on. Each turn has an attacker and a defender. For the duration of the turn, the attacker can only attack, and the defender can only defend. For the first turn, Player 1 starts out attacking. The play: the attacker puts down their card, and the other player must defend against it with a higher card of the same suit or with a trump card. If the defender doesn't have the right card, they have to take the attacker's card, and the turn will be over. 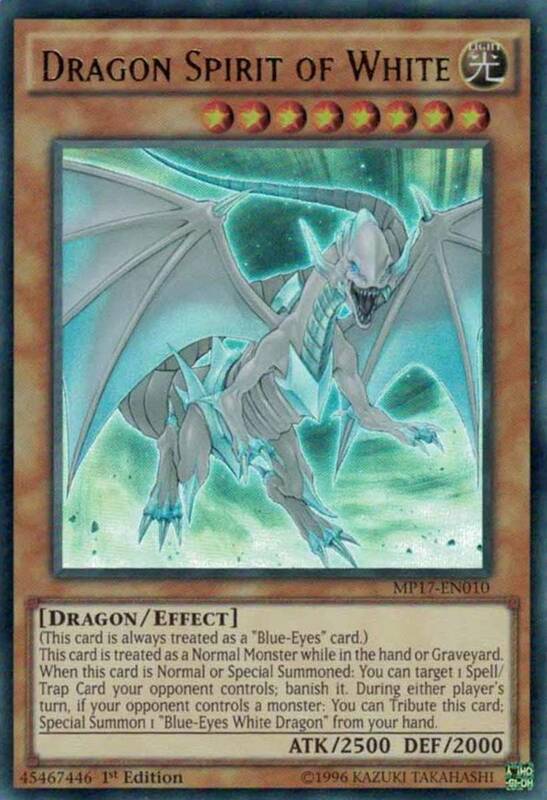 If the defender can place a defensive card, the attacker may subsequently attack with another card, but only a number that is already in play. 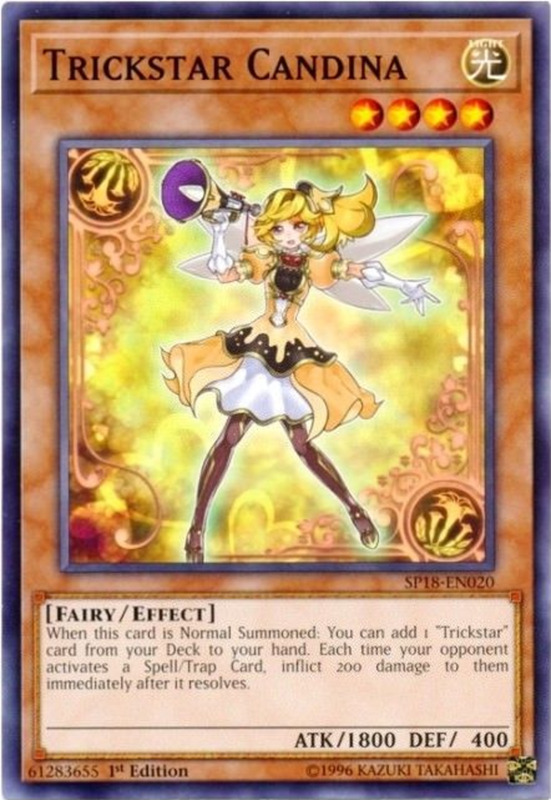 In other words, after the first card is placed in any given attack, the defender may defend with any card that suffices (aka any card higher and in the same suit or any trump), but the attacker can only attack again with a card that is already on the table. The attack is ended and the turn is over when the attacker is out of cards to place or has attacked with six cards and the defender has defended against all of them. The turn is also over if the defender has had to take the cards. Whoever wins an attack gets to start the next turn as the attacker. For example, if the defender loses and takes the cards, the attacker can go again. If the defender defends against all the cards in an attack, they are discarded permanently and the defender gets to attack in the next turn. Remember, before each new turn, the players who have fewer than 6 cards must replenish their hands from the talon. The players continue in this fashion until the talon is used up. Then they continue to play until one player has no cards left. The player who gets rid of their cards first wins the game. 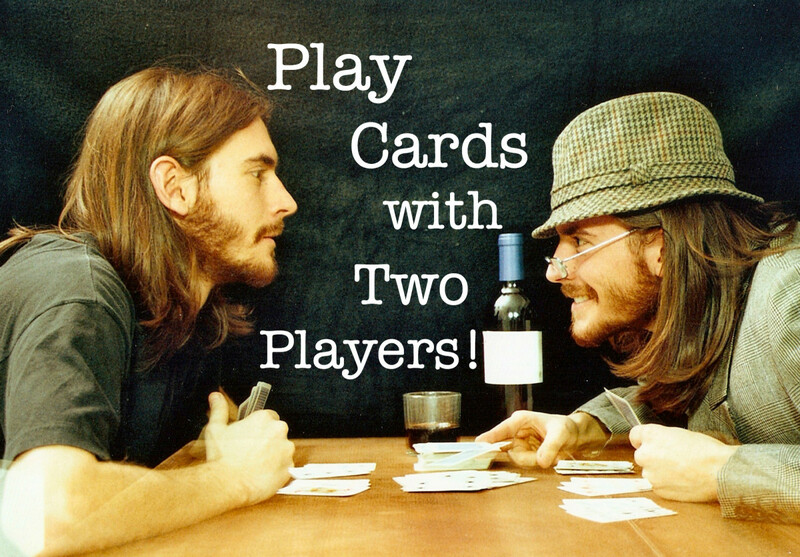 What's your favorite card game for two players? What are some other two-player card games? 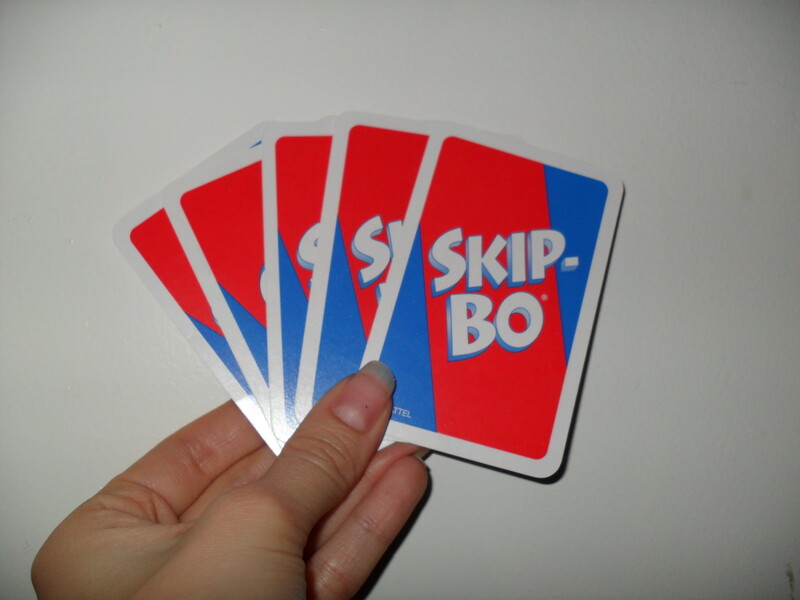 If you want to use other cards, you can play Uno, Skipbo, Phase 10. Is it ok to build card houses? Why yes, of course it is ok to build card houses. Just do not expect them to stay erect for very long. What is a set or run in cards? A set is made up of matching cards, for instance, a set of four could be an ace of spades, an ace of clubs, ace of diamonds, and ace of heart. A run is when they go in sequential order of the same suit, for instance, ace of hearts, two of hearts, three of hearts would make up a run of three. 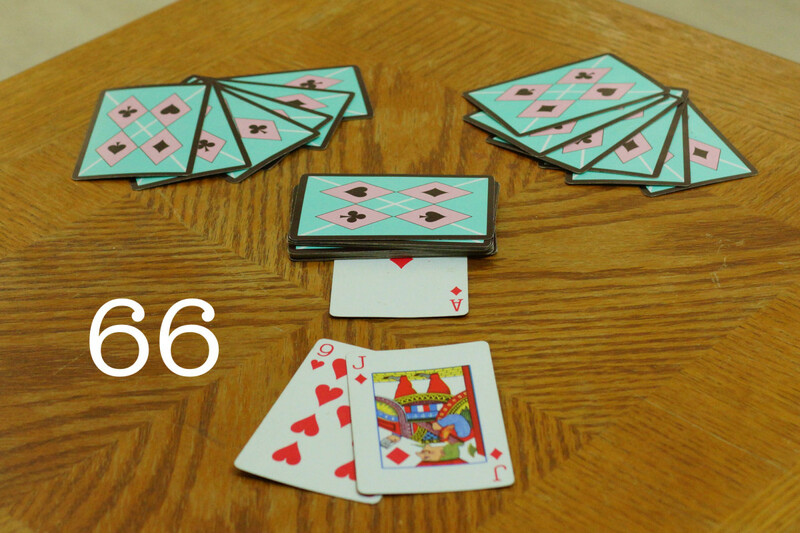 Is 66 just a simple version of pinochle? They are very similar, but they are different card games. You can play cribbage with two people. Best card game ever. Very interesting. A few Games I have not heard of. War is classic. My favorite two player card game is cribbage. Another good one is German whist. I've not heard that one, how do you play it? Game called 10 is a really cool game. I like the game that you guys put.They are very good games!!!! 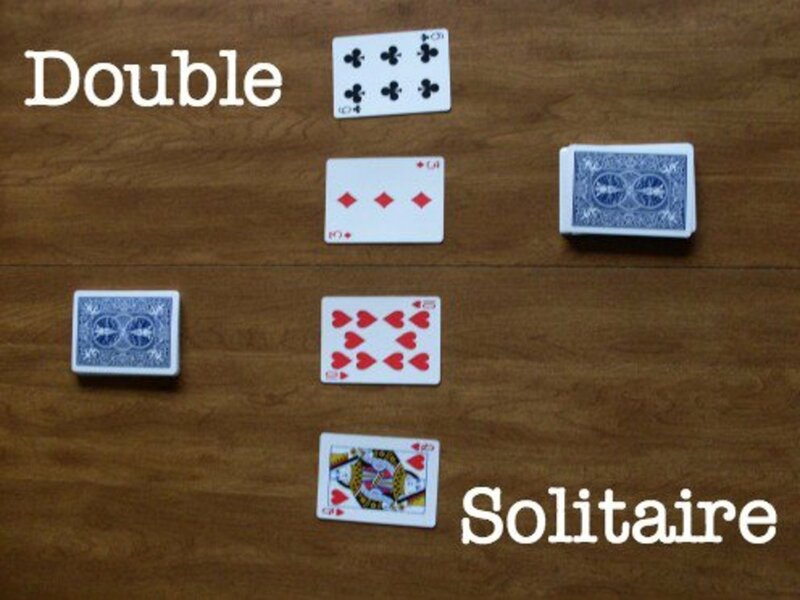 No, double solitaire is just played with one deck. Is Double Solitaire played with two decks? I really like games like Blink and Spot it, and other games that can be played with two players that don't necessarily use face cards to play. Just found this one on Kickstarter, looks fun! I LOVE to play the game Castle. Believe it or not, playing cards can be fun! Thanks for the games. I am going to try a few with my grandma! You are able to move one card at a time or multiple cards that are in sequence together. You do not need to move the whole stack. In double solitaire can you take a card or two off of one of the four piles to another pile? Or do you have to move the entire pile? Also can you move one card at a time off of the four piles onto the aces pile? 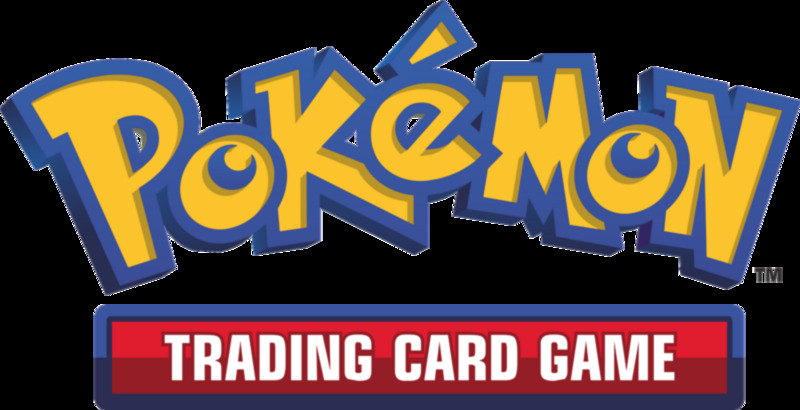 In 66 what cards do you use to start phase two? I do this same game, but we call it Ultimate War or Egyptian Rhapsody. Although instead of Ace, 2, or 3, we do Jack, Queen, King respectively. My daughter and I love that game too! I have actually played with someone who did the solitaire setup, but I've always played the version I posted, so that was the one I listed. We used to play "Speed" but with a solitaire setup. Thanks for renewing our interest in this game. We've just been playing for the past hour. Thank you for this article. Very helpful. We used to play speed years ago, but I had forgotten the rules. Very detailed. Easy to figure out how to play the games. This hub is great! Me and my friend are always looking for 2 player card games, we were just about getting sick of playing rummy, thanks for the games! It's quite interesting game to play, never heard about it. Surely would like to play with my friends & family. I've never heard of double solitaire, looks interesting! I don't think I've played that before, I hope someone knows the name. I once played a game where only twenty cards were used. All cards were dealt 10 to each player. The purpose to win as many tricks as possible. Once the hand has been played the hands are swapped and replayed. The difference in the scores is then recorded. It is many years since I played it and would love to try it again,but I can't remember what it's called. Can anyone help? Oh, I never played it like that. I used to play speed a lot as a kid, but I used a solitaire setup instead of a deck and hand of 4 cards. I could have added lots more fun card games, but most the ones I play are intended for more than two playeres. Speed is one of my all time favorites! We play Gin a lot, too, which is a great game for two people. These are all great card games to play with kids! I only have one daughter and my husband hates card games, so we often plays these games. Ah, two-player card games, the staple of the group tutor who always has that one kid who shows up way early. Speed is my personal favorite. War like you said tends to take forever!